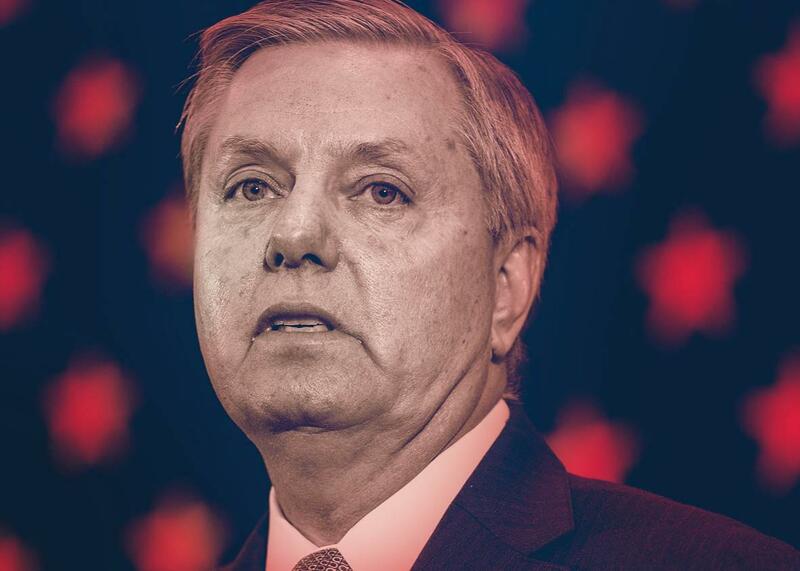 Lindsey Graham and Glenn Thrush weigh in on Joe Biden on this week’s Podcast for America. Or don’t run Joe, don’t. Photo illustration by Lisa Larson-Walker. Photo by Darren McCollester/Getty Images. Podcast for America is your inside look at the communicable hell flu that is a presidential campaign cycle. Your hosts are Annie Lowrey of New York magazine; Alex Wagner of MSNBC; and Mark Leibovich, national correspondent for New York Times Magazine. This week, will Joe Biden run? (Run, Joe, run!) We talk with Politico’s chief political correspondent Glenn Thrush, who weighs in on the pros, the cons, and the likelihood of a Biden bid for president. Next, with the speaker of the House seat soon to be open, we discuss the current tumult in Washington and the future of the Republican Party. And lastly, we chat with presidential candidate Lindsey Graham on Biden, Benghazi, and the GOP’s stance on immigration.